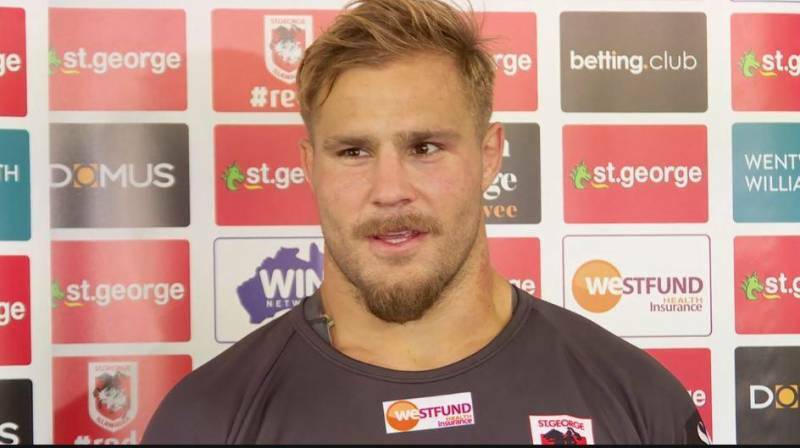 Grounded St George Illawarra forward Jack De Belin could play his first game since last year if he wins his case against the NRL over his ban under the no-fault stand down policy. De Belin begins a three-day hearing in the Federal Court today over the legality of his suspension after being charged with sexual assault. Dragons coach Paul McGregor said De Belin would be considered for selection against Manly in Wollongong this Saturday night if he is successful with his legal challenge. "Will I pick Jack? If he's mentally and physically right, absolutely. "If we play a possible and probables at training when firsts play reserve grade, then yes, he's ready," McGregor said. De Belin's sexual assault case will be mentioned in court again this week while the Federal Court proceedings are expected to wrap up on Wednesday. "What I hope happens is that he does win," McGregor said.